Join us on the morning of Sunday 23rd June and learn how to create beautiful paper sculptures. 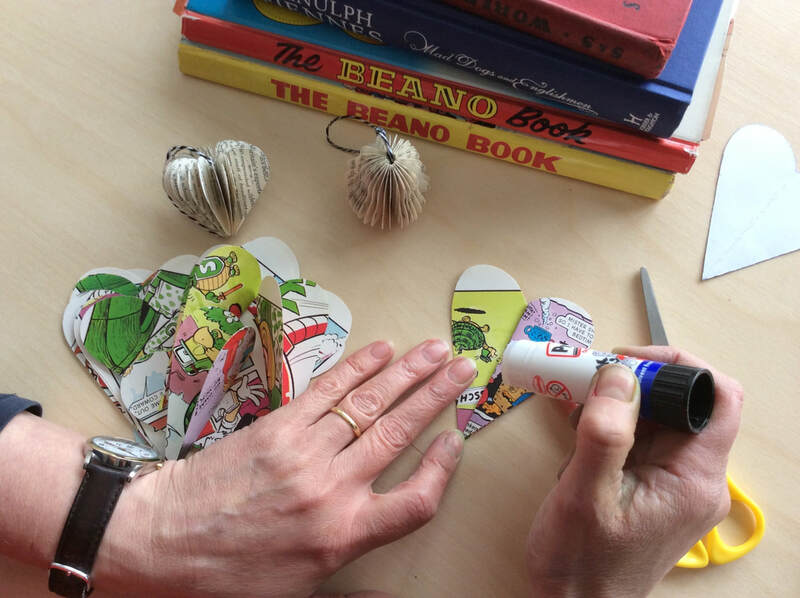 Using a deceptively simple process, you will learn how to make your own templates and create a cornucopia of hanging and free standing paper sculptures, including hearts, fruits and trees from vintage papers and old books. Once you have learnt the appropriate techniques, and with just a few basic pieces of equipment, you will be able to design and create your own sculptural forms at home. Our venue for the day will be the beautiful Long Barn at Meon Springs, set in the heart of the South Downs National Park. We will be joined by artist and maker Liz Wellby, who lives and works on the edge of the Peak District in Derbyshire. With over 25 years experience teaching and tutoring, Liz will guide you through this sculptural process, enabling you to create a range of outcomes that will be much admired by family and friends. This workshop is suitable for a range of abilities and creative experiences. Places are limited to just 10. 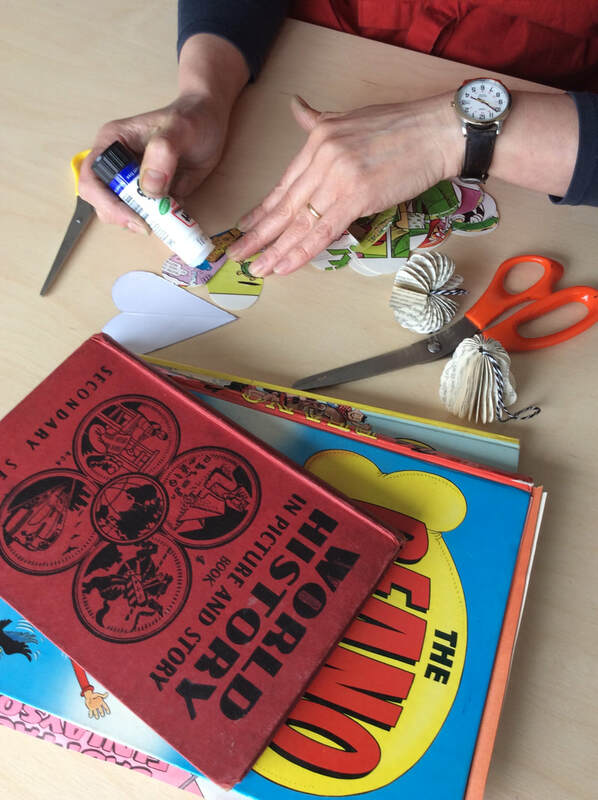 Please bring along: an apron, a small box approximately the size of a washing up bowl in which to transport your sculptures home and 3 - 4 old hard backed books or children’s annuals to up cycle. This half day workshop will include most materials and refreshments, running from 10 - 1pm at a price of £45.